Dolls with Denise Van Patten | Dolls from Bru to Barbie…and Beyond! 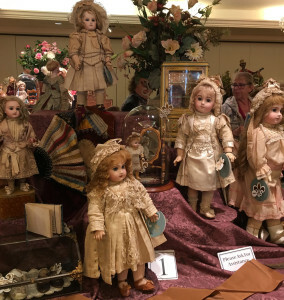 One of the fun things I got to do at the recent Theriault’s weekend in Naples, Florida was go to a Dollmastery Seminar given by doll expert Florence Theriault. 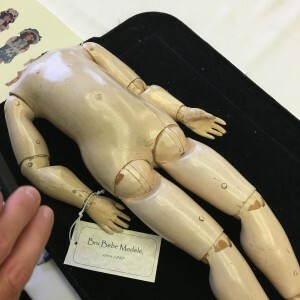 This all-day seminar gave participants a chance to get up close and personal with many rare dolls being offered in the auction, as well as a chance to handle rare doll bodies and antique doll clothing, hats and other doll accoutrements. The photos will give you just a sampling of the wide variety of dolls and doll bodies we had the opportunity to see and discuss. I’m not sure if I’m in a contemplative mood because I am spending a cold, drizzly day in an old-fashioned New England inn, or because it is Easter weekend, or because I am seeing an old-fashioned Tennessee Williams play tonight. Perhaps it is all three. So you will have to indulge me today. 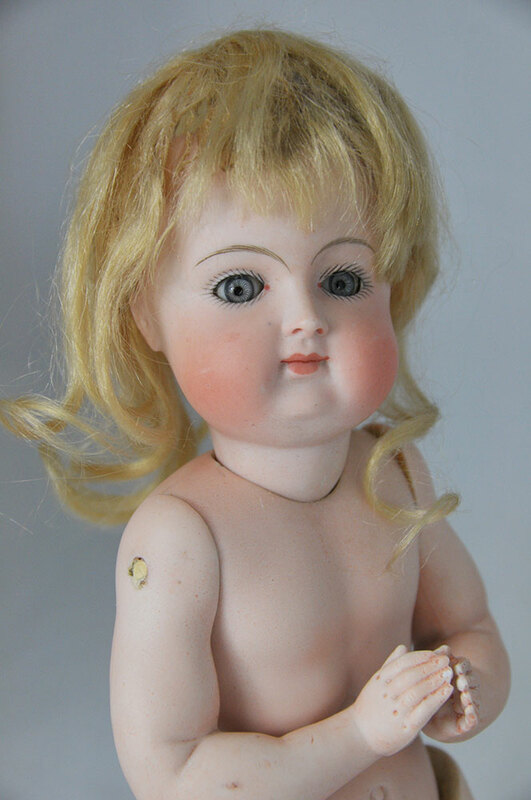 I think many doll collectors in the 21st Century are content to sit behind their computer screens and buy and sell dolls on eBay and Ruby Lane, perhaps taking part in Facebook or other social media doll groups. If they attend an auction or a live event at all, they “attend” via Proxibid or other online live auction sites. I certainly have been guilty of this myself. Which is why I coordinated a trip to see good friends in the doll world in Florida with a trip to the Theriault’s doll auction weekend in Naples, Florida. 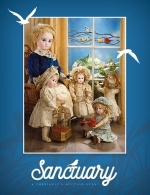 I attended Florence Theriault’s DollMastery Seminar on Friday the fully cataloged Sanctuary auction on Saturday, and the no-internet fun free-for-all that is a “Discovery Day” auction on Sunday. Really, there is no substitute for seeing dolls in person, and the benefits of attending an auction with no internet bidders is obvious. But beyond that, attending a live event allowed me to spend time with other doll collectors and make new doll collecting friends as well. Also, having the opportunity to attend a doll event in a new place truly added to the experience…I have been in a real rut the past few years and have mostly attended events in California and Las Vegas…close to home. I realize that not traveling or traveling closer to home can be cheaper, but not always, and if you can afford it, sometimes it pays to travel a little farther to find new dolls and new friends. About a week ago, my Social Media lit up with tons of news reports about the new Barbie dolls with the new body types–curvy, petite and tall. At first I was intrigued–I figured that perhaps Barbie was finally getting some long-standing friends in the doll line like the 1960s Francie and Casey (they were shorter, less curvy, flat-chested, and quite popular) that could hang out with Barbie. 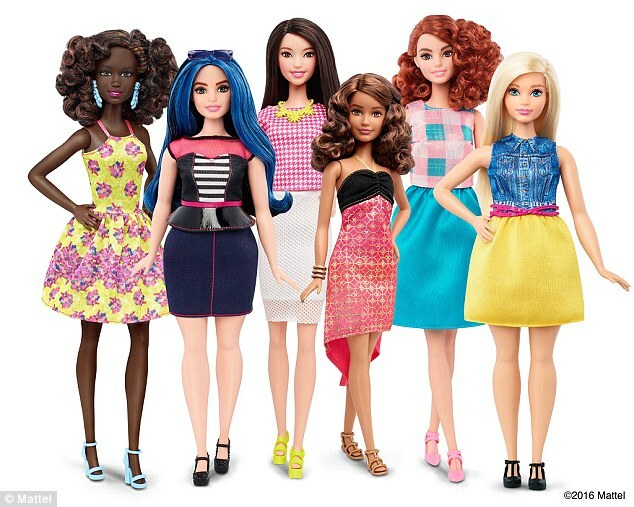 With tall, short and curvy friends found in the Barbie main line of dolls in the Toys R Us Barbie aisle, kids could have a Taylor-Swift like “squad” for their Barbies that reflected diversity and basic reality (most girls, unlike Barbie and Taylor Swift, are not really tall and really thin with straight blonde hair). Lots of play opportunities for girls with their own, diverse Barbie squad! But, sadly, I then read the articles and that was not to be. Somehow, instead, Barbie will morph into shorter, taller, or chubbier versions of herself depending on which one is purchased. And, if you purchase multiple dolls, Barbie can hang out with…well, Barbie. Happy 2016! I realize I was silent for the last half of 2016, but life didn’t work out as planned; indeed, sometimes life gets in the way of art. 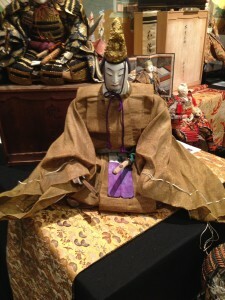 I started the doll part of my year off at the Theriault’s annual Newport Beach auction weekend. What a wonderful time spent with good friends and fabulous dolls! I realized this weekend that I’ve been buying dolls from Theriault’s for about 20 years (my goodness, where did the time go?) and in honor of that, I found a real blast from the past with this LA Times article about their Newport Beach auction from 1996. I purchased some fantastic dolls at the auctions last weekend…more about them later…but one of the things that buying new dolls will make you do is look at your cabinets, and move things around. 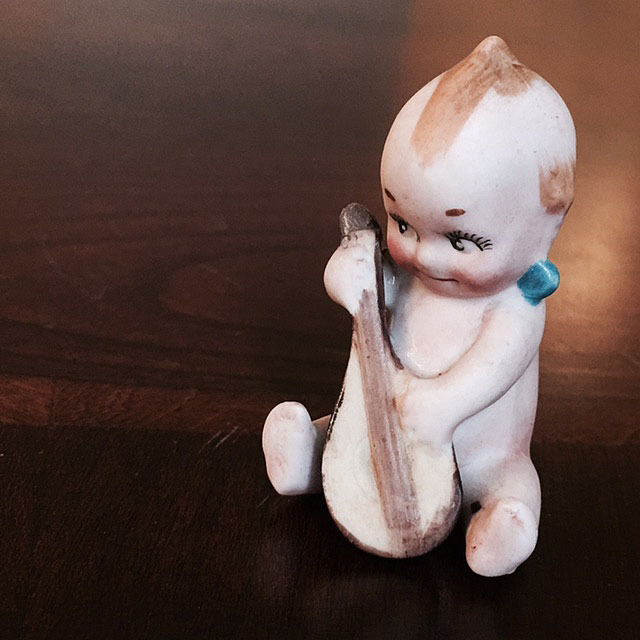 So, while I was doing just that yesterday, I spotted a lovely Smiling Bru French Fashion doll that I purchased nearly two years ago from Theriault’s, which is pictured in this blog. Doll dealers who sell at the UFDC National Convention really don’t get enough credit. I was a dealer only once at Convention, in 2011, and it was exhausting work. First of all, you have to transport–often by several thousand miles–dozens or hundreds of dolls. You also have to figure out an attractive display for those dolls, and transport and rent what you need to make that happen. Then you have to haul it all to the salesroom and set it up. In effect, you are setting up a small store that is only going to be in existence for a few days. One of the highlights at every UFDC convention is the Special Exhibits. 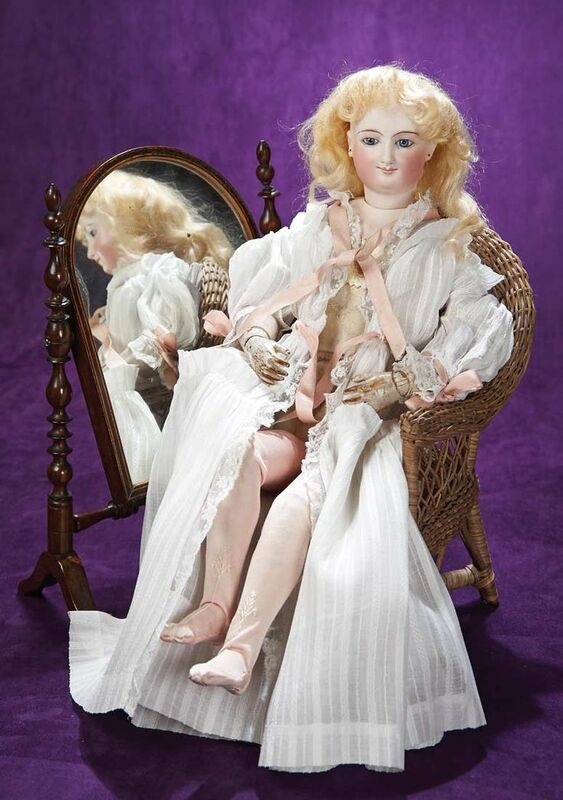 These exhibits highlight certain dolls in-depth and in style. There were four Special Exhibits this year, and I’ll highlight each of them in my UFDC Convention coverage. The first exhibit was Small Dolls, Big Dreams. 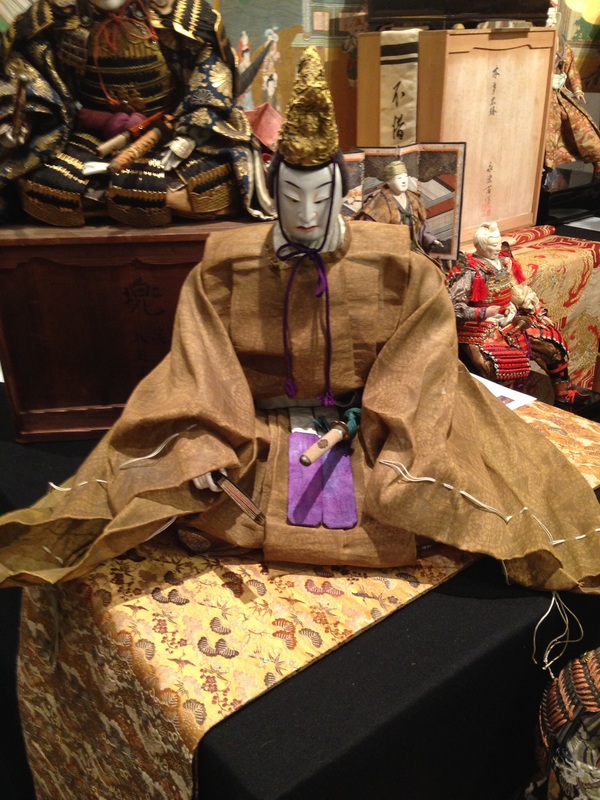 This exhibit focused on dolls 8″ and smaller made from a wide variety of materials. Dolls in this exhibit were made of cloth, bisque, wax, wood, rubber soap, paper, vinyl, china, leather, and many others. 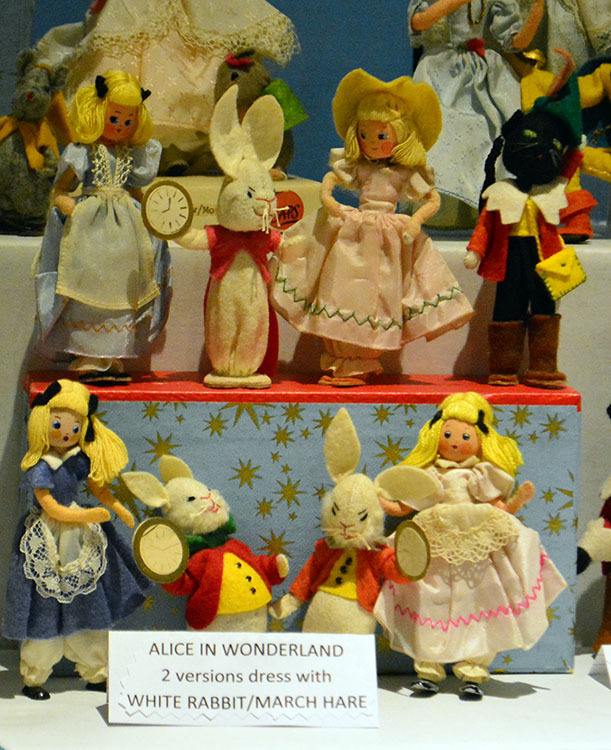 This exhibit was put together by The Wichita Antique Doll Study Club, and many of the dolls were from the Nancy Moore collection. I didn’t register for the UFDC convention until fairly recently, so when I arrived in Kansas City I had no special events on my schedule. So on Wednesday I stood on a line to get tickets to available events. I was happy to find out the Barbie doll dinner had a few tickets left, and I signed up without knowing anything about the event.